This right here is literally a huge reason why I’ve shifted away from Tumblr to WordPress. I’m glad to see bloggers like @witches-ofcolor and her sister @visibilityofcolor speaking up about these trends. The way in which close-mindedness mixed with a childish desire to be right can quickly spiral into online bullying fueled by group mentalities is something I’ve not just experienced myself but also watched happening over and over again to many others… I’ve seen it enough to seriously worry about the state of our online communities across Tumblr and Discord. I think it’s especially important what Aubrey (@witches-ofcolor) is saying about how every argument no matter how good the intent behind it has flaws. My arguments and opinions that I share across this website have their flaws too… because there’s always going to be another perspective, another side to things. I do my best to stand behind my beliefs, but I also try to be open to listening to those I disagree with and to acknowledge that my beliefs and opinions have changed over time. I believe there are ways we can all constructively and compassionately challenge each other and openly share our honest opinions. And I hope that there are more folks out there who want to see that happen than those who are happy to just watch drama explode or feed into that toxic drama. I hope our communities can do better in supporting each other even when there are major differences in opinions among us. Because spiritual communities can’t successfully help our people to heal, be protected, and move towards spiritual growth if those communities are focused on bringing others in their community down rather than growing, learning, and admitting to mistakes together. In this article, I dive into the history of Lilith both inside and outside of Judaism to cover where she comes from, why there is confusion around who she is, what she means within Jewish tradition, and why it all matters when it comes to cultural appropriation of Judaism. The featured image of this post is a painting from the Jewish Museum by Melissa Meyer called “Lilith,” which you can read more about here. If you’d like to continue this discussion about Lilith’s origins and cultural appropriation, please feel free to comment, reblog, etc. or tag me on Tumblr (@spiritroots) in your reply post. I only ask that you please read the article in its entirety before responding and that you please use sources and citations to dispute any historical evidence and interpretations. Comments, replies, anons in my inbox, etc. that aren’t constructive or are just straight up rude and baseless will be ignored. Thank you! Midrashim are retellings of stories in the Torah to help fill holes in the text and explain biblical mysteries. Historically, midrashim were written by rabbis filling in these missing pieces of stories or repairing inconsistencies between multiple passages. Rabbinic midrashim became an important way for the Jewish people to interact with the nuances of the Torah and its narrative, and often they would be taught as if the midrashim really were the way things had happened. Some stories people don’t even realize are midrash and aren’t actually in the Torah, such as the story of Abraham smashing the idols. The story of Lilith, Adam’s first wife before Eve, is also a midrash. Lilith was first mentioned as an evil entity in the Tanakh and later emerged from a midrash written to explain an inconsistency in Genesis. In Genesis 1, it says God created man and woman together. Then in Genesis 2, Adam is given a wife. So what happened to the first woman? In Lilith’s midrash, she is that woman who was made at the same time as Adam – and so, as a result, she considered herself his equal. In the ancient rabbinic tradition, Lilith was vilified and imagined as a vampiric, baby-eating arch-demoness. The rabbinic stories turned her into a demoness who sought to kill human infants unless they were protected by amulets. Here is one version of the original Lilith story from the classic Alphabet of Ben Sira. The validity of Lilith’s argument is more apparent in Hebrew, where the words for man (Adam) and “earth” come from the same root, adm (nst) (adam [nst] = Adam; adamah [vnst] = earth). Since Lilith and Adam are formed of the same substance, they are alike in importance. “Leave me!” she said. “I was created only to cause sickness to infants. If the infant is male, I have dominion over him for eight days after his birth, and if female, for twenty days.” When the angels heard Lilith’s words, they insisted she go back. But she swore to them by the name of the living and eternal God: “Whenever I see you or your names or your forms in an amulet, I will have no power over that infant.” She also agreed to have one hundred of her children die every day. Now the daughter of Lilith who made her home in that mirror watched every movement of the girl who posed before it. She bided her time and one day she slipped out of the mirror and took possession of the girl, entering through her eyes. In this way she took control of her, stirring her desire at will…. So it happened that this young girl, driven by the evil wishes of Lilith’s daughter, ran around with young men who lived in the same neighborhood. Whether you look at Lilith from her origins in midrashim, her demonic status in the Kabbalah, or her lusty spirit possessions and infanticide in Jewish folklore, it is clear that Lilith’s role in Judaism was traditionally very, very negative. She was not historically celebrated, worshipped, or venerated in Jewish tradition, but instead feared and quite literally demonized. And originally, Lilith was simply an explanation for Genesis in the Torah. Even if she was seen in a positive light, it is important to remember that monotheism is a core and essential aspect of Judaism. The archangels themselves are not worshipped, and according to mitzvot (the commandments of God in the Torah) it would be a horrible sin to do so. In Judaism, none of the messengers and servants of God are the same as God. So, when people refer to Lilith as a “Jewish goddess” (or refer to any “Jewish goddesses”) this is a deep misunderstanding of Judaism on many levels. In the seventies, the second wave of feminism began to transform Jewish women’s views on Lilith and her place in modern Jewish theology. The woman’s movement and Jewish feminists were central to evolving the concept of midrash into a new form of interpretation and commentary of the Torah that was not limited only to rabbis but gave this interactional power to “ordinary” Jews as well – making Judaism and the Torah’s sacred message a little more inclusive for everyone. In the beginning, the Lord God formed Adam and Lilith from the dust of the ground and breathed into their nostrils the breath of life. Created from the same source, both having been formed from the ground, they were equal in all ways. Adam, being a man, didn’t like this situation, and he looked for ways to change it. He said, “I’ll have my figs now, Lilith,” ordering her to wait on him, and he tried to leave to her the daily tasks of life in the garden. But Lilith wasn’t one to take any nonsense; she picked herself up, uttered God’s holy name, and flew away. Source: Jewish Women’s Archive. “The Coming of Lilith.” (Viewed on January 30, 2019) <https://jwa.org/node/22338&gt;. Joy Ladin, the first openly transgender professor at an Orthodox Jewish institution, gracing the cover of Lilith. In the same year that “The Coming of Lilith” was written, another Jewish feminist, Lilly Rivlin, published an article about Lilith to try to recover the feminist power of her story for a modern audience. Not long after, Lilith magazine was created in 1976, making the once demonized first woman their namesake because of her fight for gender equality with Adam. An article in their introductory issue finitely rejected her as a demoness and explained her feminist implications. Today, Lilith is a well-respected and award-winning feminist, Jewish-American publication that has featured investigative reports, contemporary and historical first-person accounts, entertainment reviews, fiction and poetry, art and photography. It is a result of modern Judaism’s shift in view of Lilith from an evil figure to be feared to a feminist hero and role model for Jewish women today. Just as there are many branches of Judaism or different levels of observance, there are also different types of Jewish cultures within the Jewish community around the world. Some remain more traditional and still regard Lilith as a demonic baby-killer and seductress, as our folklore and stories are still told and still a part of our culture. Not every Jewish person accepts or even knows of the modern Jewish feminist interpretation. However, I want to emphasize that this does not take away from the importance, significance, or power of Lilith as a feminist figure in Judaism today. While not everyone shares this perspective, it is an important and very meaningful one to those who do choose to see her that way. The traditions of our past and present are both a part of the Jewish religion and culture – and neither version of Lilith’s midrash is illegitimate. One of the most beautiful things about Judaism is that it may be monotheistic, but it’s not monolithic. The theological art of debating and arguing is at the heart of Jewish tradition, which is why we have jokes like “ask three Jews, get ten answers.” There doesn’t have to be just one right way to understand Lilith in Judaism, and that’s more than okay. No matter how you look at it, Lilith has remained an important and significant Jewish figure. Now that you have some background and context about where Lilith comes from in both historical and modern Judaism, let’s take a step back in time. It’s common to hear goyim (non-Jewish folks) refer to Lilith as if she existed as a figure prior to the Tanakh and original midrash where she is first mentioned in Judaism. This is a simple confusion about the name “Lilith” and the archetype of a dangerous, fierce, chaotic neutral feminine entity that has become heavily associated with Lilith. Some historians have suggested that the archetype which inspired Lilith within rabbinical literature comes from pre-Judaic cultures. This is debatable, but certainly not completely unfounded since there were other entities or spirits in other nearby cultures that had some similar characteristics to Lilith. Just as there are spirits or creatures in many cultures around the world that seem to resemble vampires, mermaids, and fairies, it’s not difficult to find other figures in different cultures who have a spirit archetype to Lilith in Judaism. In Mesopotemia, there were descriptions on cuneiform inscriptions of Līlīt and Līlītu spirits who brought disease. In Ancient Greece, there was a belief in the Lamia (pl. lamiai) who killed children and had serpentine bodies from the waist down. Scholars have made connections between the Mesopotamian līlītu and Greek lamiai with Lilith. However, the name “Lilith” is Hebrew and was never used until it was written in the Tanakh and the midrash that tells Lilith’s original story within Judaism. Even though the name “Lilith” didn’t exist as a name for the pre-Judaic entities that may have inspired rabbis to write Lilith’s midrash, “Lilith” is now such a well-known name that it gets misapplied to those pre-Judaic figures. This is the classic problem of anachronisms, which occur when a later developed term with a contextual meaning is incorrectly used to refer to an older concept that preceded it historically. The Greek lamiai and Mesopotamian līlītu can be compared to Lilith, but they aren’t exactly the same entities from an academic historical perspective or a cultural one. Historians and social scientists who have tried to make inaccurate, anachronistic arguments about līlītu being the same as Lilith have been debunked time and time again. For example, connections made between Lilith and an entity called ki-sikil-lil-la-ke in the Gilgamesh have been rejected by scholars Dietrich Opitz and Sergio Ribichni. Henri Frankfort and Emil Kraeling tried to identify a Mesopotamian figure (shown to the right) from the Burney Relief as related to Lilith. This claim was also rejected by multiple sources, including the British Museum where the relief is now kept. In conclusion, the archetype commonly associated with Lilith is not exactly the same as the specific figure of Lilith, and where it applies to pre-Judaic cultures and other folklore, the specific names of those entities such as lilitu and lamiai should be used. The name “Lilith” is Hebrew (written as לִילִית‎) and inherently refers to the Jewish figured called Lilith who was first referred to in the Tanakh (Isaiah 34:14) and later expanded upon in midrashim. With the historical evidence we have today, it’s clear that the archetypes associated with Lilith exist across many cultures, but Lilith herself as a figure with that Hebrew name comes from Judaism alone. Looking forward, we see that some of the Abrahamic religions that came from Judaism later adopted Lilith into their own folklore and cosmologies. During the Renaissance, Michelangelo imagined Lilith like a Greek lamia: half-woman, half-serpent, coiled around the Tree of Knowledge (see painting to the left). These sorts of depictions of Lilith and a Christian interest in her came about as a result of Lilith’s popularity within Judaism through cultural diffusion. It happened similarly to how Christianity approached the Kabbalah, a genre of sacred mysticism literature within Judaism. The Kabbalah appeared to be an exotic and magical system to early Christians who wanted to apply it to their own understanding of Christianized texts from Judaism within the Bible (well known as the “Old Testament”). Likewise, Lilith was well-known demoness within Jewish folklore and the Kabbalah who was integrated into Christian folklore and storytelling as well. Even later in history, Lilith was also adopted into some Islamic folk stories, where she was said to be the original mother of the Djinn just as she was viewed in other cultures as the mother of all demons. There are no references to Lilith in the Qu’ran or Hadith, but a Sufi author Ahmad al-Bunni mentions a demon in Sun of the Great Knowledge called “the mother of children” who might be derived from Lilith. Today in some occult circles and in many forms of modern Satanism where usage of Christianized Kabbalistic texts and demonology abounds, Lilith is extremely popular and sometimes even viewed as a goddess rather than a demon. Unfortunately, in these contexts, there is often a lack of understanding about where Lilith originally comes from and views of her have been heavily filtered through both Christianity and Satanic or Western occultist interpretations. Lilith is a challenging topic when it comes to cultural appropriation, because much of Christianity, Islam, and other Abrahamic faiths derive their beliefs and sacred scriptures from Judaism. The line between simply practicing an Abrahamic religion versus appropriation Judaism can be complex, confusing, and fiercely debated. However, there is a way to understand where some respectful boundaries are when it comes to Christian concepts that are open as sources of inspiration for one’s spiritual practice as opposed to Jewish traditions that are closed. First and foremost, it is important to understand that while Christianity and Islam are religions that are open to anyone to convert and proselytize widely across the globe, Judaism is a very closed religion. Technically, it’s semi-closed because you can convert, but it certainly feels closed because traditionally a rabbi is supposed to say “no” three times to potential converts before saying “yes.” The conversion process into Judaism is considered like being permanently adopted into the Jewish family, and it’s a very lengthy and detailed process that can take up to a year or longer. It involves rigorous study, special ceremonies, joining a Jewish community, and working closely with a rabbi. So when goyim try to practice aspects of Jewish that they aren’t explicitly invited to practice, it’s a serious violation of this religion and culture that has been marginalized and oppressed for most of its very long history. That being said, Christianity, Islam, and other Abrahamic religions developed out of Judaism and used many aspects of Judaism as a part of their foundational beliefs. That’s why it gets complicated to discuss where the line between Judaism and other Abrahamic religions ends or begins. For some Jewish traditions, however, there is a clear precedent for what many of us Jewish folks consider cultural appropriation – and it definitely includes Lilith as a figure who never became a part of other religions until after she was a popularized folkloric and esoteric figure within Judaism. Outside of the one brief Lilith mention in the Tanakh, Lilith as a fully conceptualized figure developed within rabbinical literature after Christianity had already emerged as a new religion. Unlike elements of Judaism that were used as a basis for the formation of Christianity at the beginning of the religion, Lilith was a separate and distinct part of Jewish culture that wasn’t originally a part of Christianity as a religion at its inception. There are other aspects of Judaism that weren’t incorporated into Christianity from the religion’s beginnings such as celebrating Seder or the Kabbalah but were later adopted or culturally absorbed into Christianity. The notion of a “Christian Passover” or “Christian Qabalah” are considered very culturally appropriative by much of the modern Jewish community today – and goyim (non-Jewish people) incorporating Lilith into their religious beliefs is regarded the same way, as a form of blatant cultural appropriation. If you made it this far, seriously thank you for taking the time to read this! Unfortunately, this is a hotly debated but largely misunderstood topic, but it’s an important one to many Jewish folks like myself who see our religion and culture appropriated on an almost everyday basis in New Age and pagan spiritual circles – as well as in Western magick and witchcraft traditions that were built off of so much appropriation from Judaism and other closed or semi-closed religions and cultures. If you are Jewish, you have every right to work with Lilith in your spirituality or not and to view her as a demoness, an old folktale, a feminist hero, or simply the first woman that Hashem created. If you aren’t Jewish, please understand how significant Lilith was traditionally and still is today in Judaism, and please don’t misrepresent her or incorporate her into your practice. If you find the archetype of Lilith inspiring, you are more than welcome to work with the Mesopotamian spirits and goddesses or Greek lamiai who share some commonalities with Lilith but belong to open religious traditions that anyone may practice. In the mundane aspects of our lives, it isn’t always so surprising when things don’t work out as planned. But when you’ve dedicated lots of time to work the roots, pray intensely, and invoke spirits, it can feel even more like a failure when your goals aren’t realized through all that effort. It takes time, energy, and resources to invest in a working, spell, ritual, or ceremony… so when it feels like the main goals weren’t achieved, it can be more than disappointing. It can feel like the spirits or your own abilities and energies have failed you. In certain forms of Western traditions of magic and witchcraft such as ceremonial magick and chaos magick, it is common to put a strong emphasis on obtaining results from the efforts of one’s spellwork or rituals. I’ve seen some practitioners argue that this is the case for all traditional paths including Africana and Afro-Latine traditions. Of course, it is true that our ancestors were motivated both during and after slavery to preserve these traditions to see very immediate results for the sake of survival. However, looking at this from a Eurocentric perspective and boiling it down to results as the top priority misses out on the bigger picture. Though there are many indigenous African religions that are all distinct and unique, they also share many commonalities with each other. A traditional part of the Afrocentric worldview shared across cultures is the concept of interconnections between different energies, spirits, and forms of life. For example, you can connect with forces and spirits of nature through roots and herbs, or you can tap into your connection with your ancestors through your own DNA and memories to work with them – and potentially also the many groups of spirits that they are connected to. To grow one’s abilities, one must grow and develop networks of spirits and energies so that they can draw influence and power from the links and bonds between circles of people and spirits. Within this context of spiritual networks and communities, it becomes clear from the Afrocentric perspective that one cannot fail all on their own. To accomplish something with the help of nature, ancestors, or the divine, one must have agreement and permission from those spirits or forces. It’s always possible that no matter how hard one prays or asks for help, the answer is still “no.” Some spirits or forces within the universe simply may not have the power to help you with what you asked. Sometimes, they may have much greater knowledge than you about what it is you wanted and won’t give it to you for what are extremely good reasons from their perspective. Alternatively, your working or ritual could have manifested something, but the spirit decided it was better to give it to you in a form that you didn’t recognize or didn’t like. What feels like “failure,” can be the result of many different ripples across these spiritual networks and it isn’t necessarily because you did anything wrong. Looking at it from this Afrocentric perspective, the notion that these traditions are about “obtaining results” is not entirely wrong, but it’s definitely an oversimplification. Personally, I would describe the purpose of workings, rituals, and ceremonies in Africana traditions as ways of connecting with and receiving guidance from the forces and spirits of the universe. These connections and guidance can help manifest things or outcomes that one needs in life when the spirits or forces at play are both willing and able to help. They can also stop or prevent things from occurring when the spirits wish to do so for your own protection or development. Once you recognize the bigger picture, you can begin to see how something not working out as you planned may not actually be a “failure” at all. When these things happen, it’s often hard to accept no matter what perspective you try to take on it. What feels like “failure” can be a serious test of faith or confidence in oneself and one’s practice. It can make you wonder if your ancestors are listening because otherwise how could they not choose to help you? It can be easy to feel like you are the problem and wonder where you went wrong. During times like these, I’ve sometimes really struggled with acceptance and understanding of the situation so that I can move on and move forward with my practice. There is no one right way to deal with it, but here are a few steps I take that help me to process what happened and regain confidence again. 1) Ask why. One of the great things about our connections with spirits and forces of nature when working with them through these traditions is that there is a way to communicate. There are traditional divination methods and ways of communicating with spirits to be found in every Africana tradition and religion. So, the reasons why things didn’t turn out as expected don’t have to remain a mystery or an unanswered question stirring in your mind. As long as you do so respectfully, it can be okay to follow up with the spirits and ask what happened or why something went the way that it did. I don’t recommend doing this if you are feeling resentful towards those spirits, but if you are able to ask respectfully, the answers might have a lesson or insight to teach you – or at least provide some closure about the situation. For example, perhaps your ancestors knew something about the person you wanted to sweeten towards you as for why they would be a very incompatible romantic partner. Maybe the spirits decided to hold off on giving you something because a different and more needed blessing is already on its way to you. 2) Experience gratitude for the positive aspects of whatever came out of your prayer, spell, or ritual. It can be challenging to look at things as a glass half full when you needed that full glass to do something extremely important or meaningful. But sometimes there’s only so much that spirits can do or that they feel it’s wise to do for a certain situation – and appreciating what you did receive helps ensure that you’ll continue to receive those blessings in the future. If you prayed to get somewhere on time but you were still delayed, at least you can still appreciate the blessings of arriving there safely in one piece. Maybe you didn’t get as much money in this last check as you had hoped to manifest to pay your rent, but some cash still came. Perhaps that was all your ancestors were able to help bring in for you this time. 3) Choose to let go of what happened. Ultimately, whatever the reason, what’s happened has already passed, and it helps to accept and let go of the outcomes. It’s more than okay to give yourself plenty of time and be patient with yourself if you’re still feeling angry, confused, upset, or disappointed. Sometimes acceptance of the loss – especially when it’s something you needed very urgently – can feel almost impossible. At the end of the day, it’s up to you when you’re ready to move forward and continue with your practice. Remember that taking a break isn’t a “failure” either, and it can be a very needed form of self-care, reflection, and rejuvenation. While the mainstream and Eurocentric colors of magic and witchcraft for clothing tend to be black or deep purples and other darker hues, in many Afro-diasporic traditions the most popular color to wear is white. If you are starting down the road of Santería / Lucumí, you’ll quickly notice that it’s considered better to try to wear white or at least lighter shades in general and absolutely mandatory to wear white during certain ceremonies or for periods of time after being initiated. After being an iyawo from my elekes initiation into Lucumí and wearing white from head to toe for seven days, I’ve felt the ashe of wearing Obatala’s color and being intimately protected by it. So I want to share a bit about this practice in Orisha traditions and dive into a discussion about what it means and where it comes from. On the surface, it might seem problematic in the same way that white is often seen as implicitly better or more sacred in many Eurocentric contexts. It’s true that white in Africana traditions does often stand for peace, cleansing, and protection, but in the Afrocentric context it’s not because of racist notions that white represents “good” while black is “evil.” Sometimes Eurocentric frameworks have caused misinterpretations and twisting around to bring those racist concepts into Afro-diasporic spaces, but that is not where the idea originated. 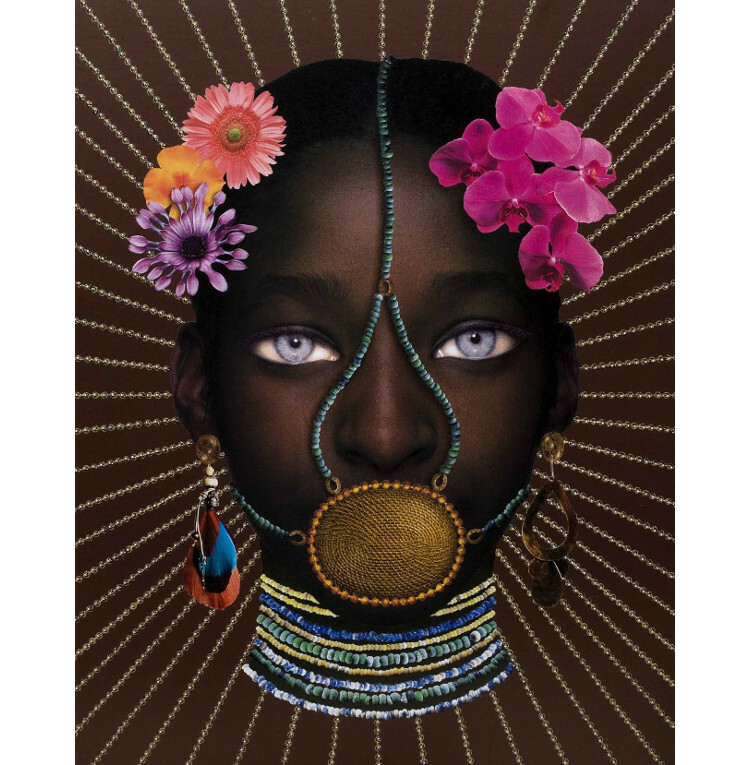 Never once have I ever heard any of my spiritual elders say that “black” is bad or evil, and the color definitely plays its own sacred role in Orisha traditions. As the color of the ikin (“palm nuts”) of Ifá divination, black (dudu in Yoruba language) is said to be the preferred color of the babalawo (Olupona 463). Olorisha and scholar Teresa Washington describes black as the source and container of iwa as the “origin and apex in the undiluted power of pure cosmic Blackness” (Washington 34). So it is not at all that this sacred color is seen as “bad,” but rather that it is not the right ashe to be wearing on one’s body because it contains and attracts all. When you need protection and want to repel unwanted energies away, a powerful container of all creation is not seen from the Yoruba perspective as the right color for that specific role. White (funfun) is for cleansing and protection because it shares similarities with white light in a scientific sense as a combination of many wavelengths. The color white in Orisha traditions also “projects the properties of All” (Washington 57). There is a class of Orisha called orisha funfun (“white orishas”), including Iyanla, Odua, and Obatala, who are primarily represented by the color white and carry its associated meanings (Washington 95). Washington describes the orisha funfun as “funnel[ing] the blood of existence through the reflective properties and scientific principles of the hue white to imbue each person with a signature blend of iwa, ori, and ashe” (Washington 95). Because white is seen as a projective color, it is strongly associated with cleansing and protection as the spiritual ashe of removing and reflecting away unwanted energies and influences. 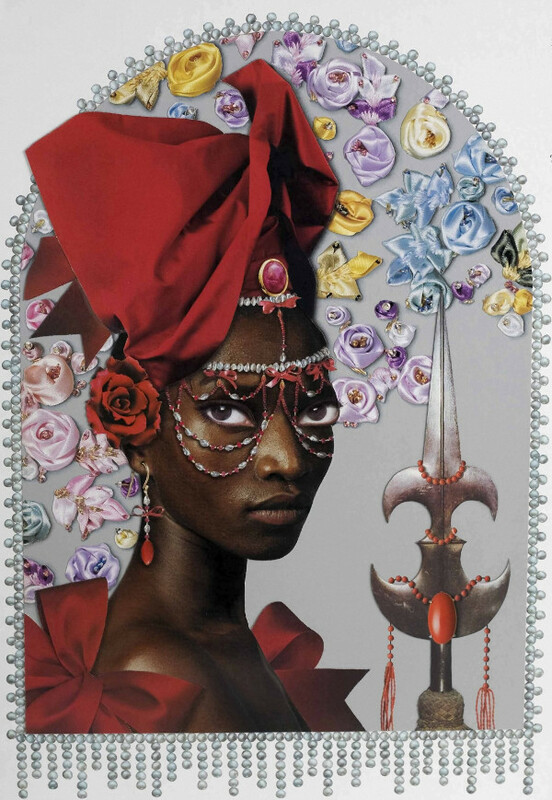 After some initiations into Orisha traditions, the new initiate becomes an iyawo, or a bride of the Orishas. The iyawo traditionally must wear white from head to toe so that they would be as protected as possible during that time since they are spiritually vulnerable. I can personally speak to the ashe that I felt while wearing only all white clothing every day when I was an iyawo. Wearing white is also about the color’s connection to Obatala, who is probably the most famous and well-known of all the orisha funfun. His name means “Ruler of the White Cloth” across both Santería / Lucumí as well as West African Ifá / Isese tradition. Obatala’s close relationship with the color white relates to his traditional role as an Orisha of creation and maker of humanity (Washington 38). It is important to understand that his relationship with the color white definitely does not mean that he could ever be accurately depicted with white skin or that he is anything other than an African spirit (see image below for reference). Obatala’s connection to the color of white (funfun) is a purely spiritual relationship that only exists within an Afrocentric context of the color’s meaning. Washington describes all life as having the qualities of “iwa, Ori, and ashe” (“character,” “soul,” “energy”), which Obatala’s whiteness refracts like white light radiating many different colors through a prism (Washington 39). 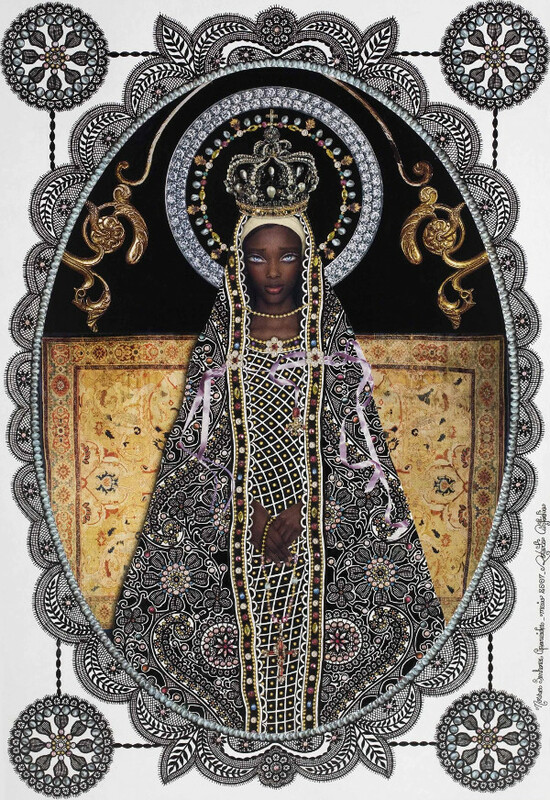 She quotes Fatunbi, who connects Obatala’s light-like function to the creation of life, “[b]ecause all color is contained within white light, all Orisha are believed to be linked with Obatala” (Washington 39). 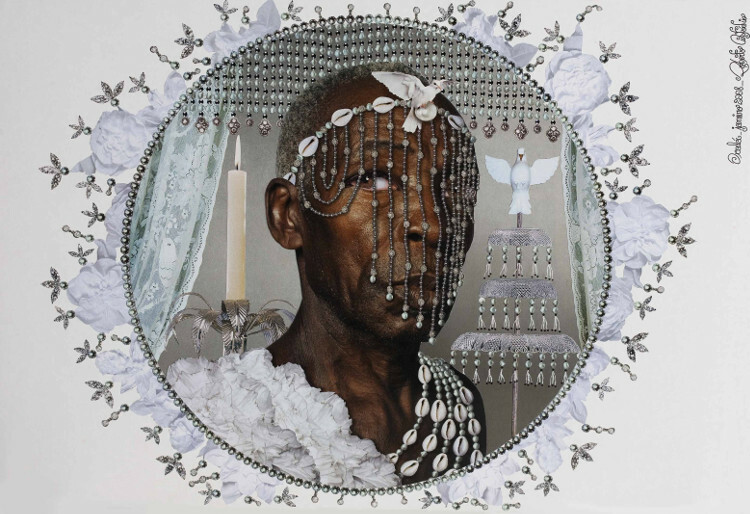 When understanding Obatala’s white as linked to all colors and Orishas, it becomes clear why it makes sense for practitioners of Orisha traditions to so often wear white. I hope this article has helped to clear up any misconceptions about this practice in Africana traditions and explain some of the depth behind the color from a Yoruba perspective. You can tap into the energies of wearing white whether you practice an Orisha tradition or another Africana tradition where wearing white has similar meanings or whether you simply practice Afrocentric spirituality on your own! Olupona, Jacob Obafemi Kehinde, and Rowland Abiodun. Ifa Divination, Knowledge, Power, and Performance. Indiana University Press, 2016. Washington, Teresa N. The Architects of Existence: Aje in Yoruba Cosmology, Ontology, and Orature. Oya’s Tornado, 2015. 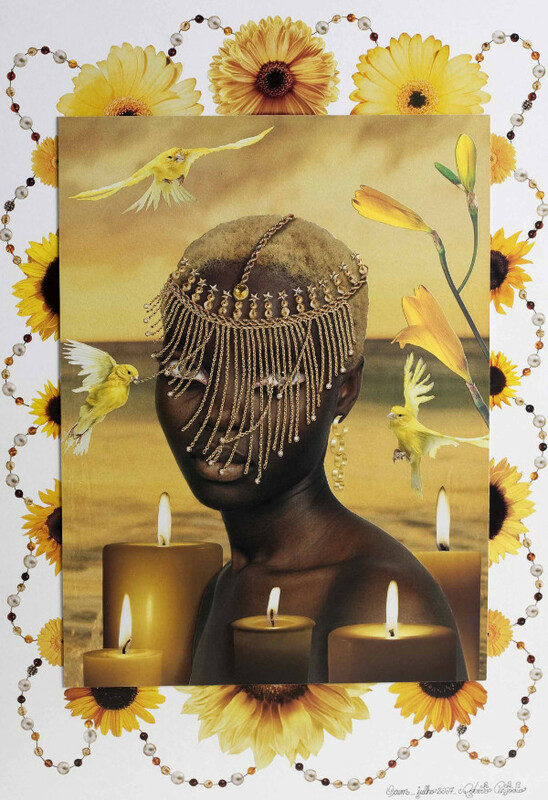 Osunbolaji Omidele (@empyreal-insights) is an olorisha of Ọṣun (Oshun) in West African Ifá tradition of Ilé Arira. In this post, she speaks not about being an Ọṣun priestess, but about the spirits called Egbe and the profound impact that they have had on her life. There are Egbe societies that you can be marked for initiation into, but this is not a concept that is often discussed or well-known. Check out her post below to learn more and hear her incredible story.